I don't know what is going on to make it so cold where I live. I get worried for people who live in places where it's actually supposed to be cold this early. I hope you guys are OK! This week is going to be hectic with Thanksgiving on the way. I have to work Monday through Wednesday and then host my family for Thanksgiving Thursday and Friday. Cooking the turkey always full on stresses me out. Another week of posting reviews! Can I keep it up? 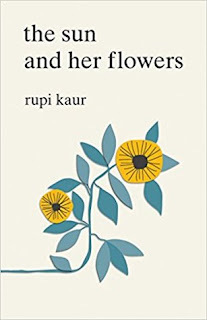 Last week I posted reviews for A Primer to Steve Rasnic Tem edited by Eric J. Guignard ⭐⭐⭐⭐⭐ and The Sun and Her Flowers by Rupi Kaur ⭐⭐⭐. 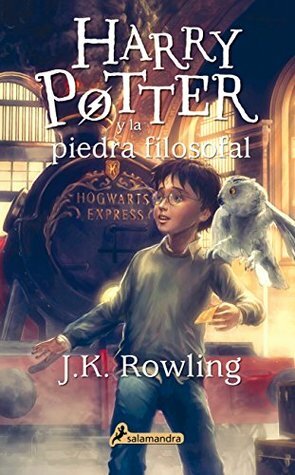 Harry Potter y la piedra filosofal by J.K. Rowling, Alicia Dellepiane Rawson (Translator) ⭐⭐⭐⭐⭐ - I finally finished my Spanish edition of Harry Potter. I highly recommend reading through Harry Potter if you are trying to improve your reading skills in a foreign language. It helped so much to already be familiar with the text. 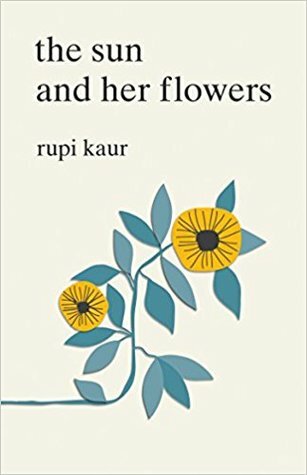 The Sun and Her Flowers by Rupi Kaur ⭐⭐⭐ - You can read my full review here. A Primer to Kaaron Warren edited by Eric J. Guignard - This is the second book in the Exploring Dark Short Fiction series. 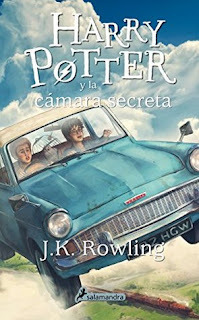 Harry Potter y la cámara secreta by J.K. Rowling, Adolfo Muñoz García (Translator) - I plan to carry on through the series and read them all in Spanish. 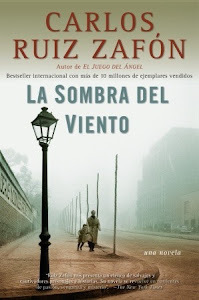 La sombra del viento (El cementerio de los libros olvidados #1) by Carlos Ruiz Zafón - This is Carlos Ruiz Zafón's The Shadow of the Wind. I've been wanting to read The Shadow of the Wind for a long time now. I think I'm going to give the original a try. 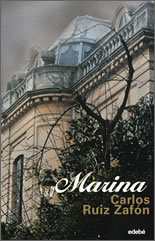 Marina by Carlos Ruiz Zafón - Someone posted about this one on Instagram not too long ago so I grabbed this one, too. El amor en los tiempos del cólera by Gabriel García Márquez - Have you read Love in the Time of Cholera? I'm a little nervous about this one, but if I wind up loving One Hundred Years of Solitude, I know I'll want to read this one, too. It's highly rated among my GR friends so we'll see! Right? Ugh. I DON'T KNOW! Thanks, Sophie. I am not happy it is so cold already. I love Thanksgiving but I hate cooking the turkey. I do not have that mastered. Have a great week and happy reading! I only cook a turkey once a year and that's at Thanksgiving. I swear I forget completely how to do it by the time November rolls around again! I'm so not ready for the cold. It feels like we totally skipped over my favorite season! It went from far too warm to too chilly! You are absolutely right. I was really looking forward to fall weather it totally got skipped. You've got some fun books. 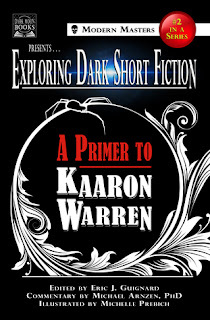 I hope you get time to read after the holiday. I work thru Wednesday and then a four day weekend too. Not doing anything though. We usually wait til Christmas to gather as we are all over the place. Thanks, Laura. I'm really hoping to relax once the weekend rolls around. I hope you enjoy your four day weekend! Wow! You sure got a lot of awesome books! I hope you have a nice Thanksgiving! Thanks, Ronyell! I hope you have a wonderful week as well. It's been cold here too and we even got some snow- thankfully not too much. Still it feels a bit early! Hope you have a great Thanksgiving! 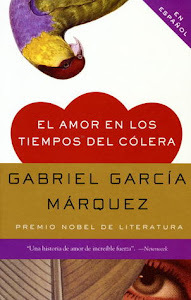 I've never read Love in the Time of Cholera. Hope you enjoy it! I hope your snow was beautiful. It warmed back up here pretty quickly thank goodness. Thanks! I've yet to mess one up, but this could be the year. LOL. It's supposed to be warmer here for the next week like 15-20 degrees warmer so I'm happy since it was cold 40F/ 5C with rain all week until Friday. I just do a turkey breast since nobody will eat the dark meat anyway. I think it's easy. I just put it the roasting pan with a thermometer. The cookbooks says the oven temperature and how long per pound, but I check the thermometer also since once it gets to 170, it's done you don't want it to dry out. I hope it all turns out well. Happy Thanksgiving! A few years ago I moved to an electric roaster, and I enjoy that much more than a regular oven. I usually baste and temp check, but I ordered a thermometer that stays inserted for this year. We'll see how it goes! I have to work Monday thru Wednesday, too, and things always get busy before the holiday. Turkey is not so bad for me, since my husband usually keeps an eye on it. You just have to baste a bunch, and mind the temperature. It's the side dishes that make the most work for me. Thankfully, my husband and I tag team the dinner. It is really cold here this morning, which was certainly predicted but I'm feeling the chill even with the fire on and my warmest clothes!!! No snow yet though. I hope that holds off a few days until my Amazon packages arrive! I hope your packages make it before the snow! I hope you are able to spend the rest of your week bundled up with your books. I admire you hosting the holiday. I never want so much responsibility, though I believe in you. I only have Thursday off, but it gives me an excuse to leave early if I am experiencing too much "family time". I hope your dinner goes off without a hitch and that you have a lovely Thanksgiving! Thank you, Sam! I don't mind the hosting as much as being in charge of the turkey. It's so much pressure. Haha. It is not that cold here, but cold enough for the heater, which I like. I do wish for rain, though; our state sadly needs it! We had miserable cold rain today. We've had nothing but rain for months. I wish I could send you some! 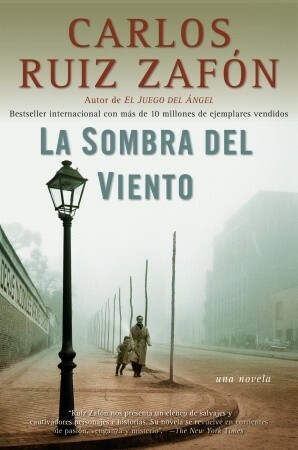 I have a list of Spanish works I'd like to make my way through. It includes a few Marquez. I'm looking forward to them. Have a great Thanksgiving. Ours is pushed back to Saturday because of my brother's work schedule. Come see my week here. Happy reading! Having Thanksgiving on Saturday actually sounds really great. I hope you guys have a wonderful holiday. Hope you have a wonderful Thanksgiving and I'm grateful that Mr. Barb cooks the turkey. Thanks, Barb. I hope you guys have a wonderful holiday. Feel free to ship Mr. Barb over to me for a bit. The turkey stresses me! May you make it through and find some time to read! You're killing it with the postings this month. I need to do better. Thank you! All I want to do this weekend is read. I hope it comes to that! Thank you! Happy Thanksgiving to you guys. I hope you all have a wonderful time. Hope you have a wonderful Thanksgiving. I am sure your turkey will turn out fabulous. 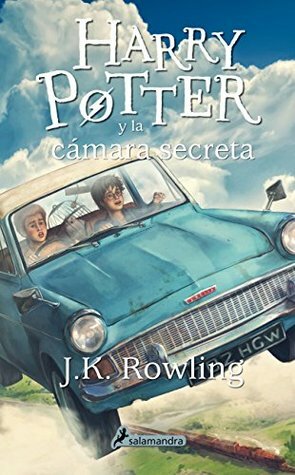 I like that you are reading HP in another language. What a great way to get more familiar with a new language. Thanks, Heidi. I haven't managed to mess up a turkey yet, but the more I say that, the higher the likelihood it will happen. LOL. I'm really enjoying the experience with HP. We have had to turn our heat on already! I don't like to do it this soon, but it was that or freeze. Plus my son refuses to wear socks, and his little feet get so cold. :( We have had snow so early - what is this winter going to be like! Eek. I know what you mean. Every year I play the "how long can we go without turning on the heater" game, but we turned ours on, too. No snow for us, though! Happy Thanksgiving to your family, Erin! We had a couple cold days last week but it's supposed to read high-40s this weekend; I'm not prepared for the heat wave. Haha. Have a good Thanksgiving dinner, remember, no romaine! Glad to hear you had a wonderful Thanksgiving Jennifer. Too bad you didn't feel well the day after, staying in bed reading is a cure all. I wish I could read and speak fluently in another language, it's terrible that I come from a Spanish speaking family and I understand more than I speak. Have a lovely week.